Rochet-Schneider was one of France’s oldest carmakers. Edouard Rochet’s bicycle company was joined by Theophile Schneider in 1894 and cars followed the next year. Into the 1920s they began to focus more on commercial vehicles and their last passenger car debuted in 1931. Berliet bought them out in 1932. This example is powered by a 12 horsepower straight-four engine and wears a nicely-painted green Torpedo touring body. 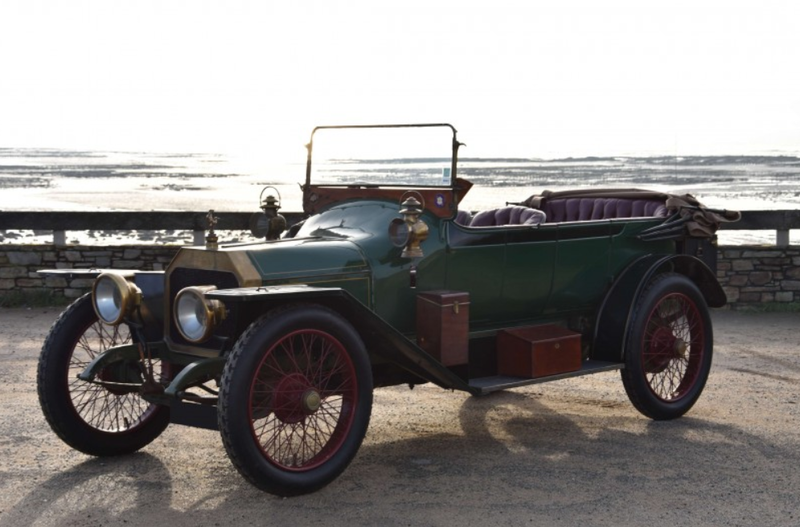 The story on this car is that its first owner was killed during WWI, and the car remained in the barn he had left it until the 1980s when it was rediscovered. The next owner took 10 years to track down the rightful inherited owners and finally bought it in the 1990s. It was restored to the condition you see here, with the work wrapping in 2003. It is now being offered at no reserve with a pre-sale estimate of $40,000-$55,000. Find out more about it here and see more from this auction here.